As the May 25, 2018 deadline for compliance with the new General Data Protection Regulation (GDPR) rapidly approaches, enterprise IT organizations must implement a cloud data security strategy that supports compliance and minimizes their organization’s exposure to new breach notification requirements and financial penalties as high as 20 million Euros or 4 percent of total annual turnover. 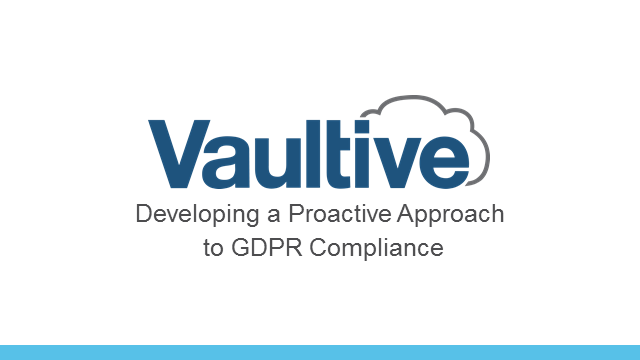 Yael Nishry and Doug Lane from the Vaultive team have extensive backgrounds in risk management and enterprise security technologies. Join them for this event as they discuss what organizations should be doing to prepare for this new regulation.